Need to add some pep to your Bible study? 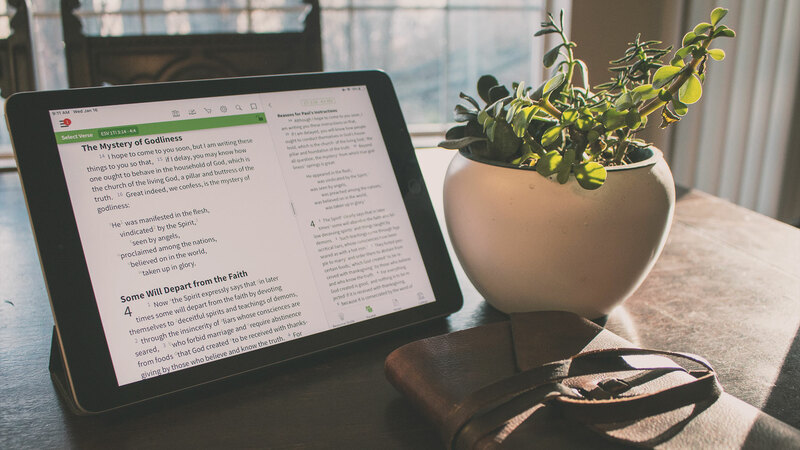 Here are 7 different step-by-step Bible study methods you can easily do on your own. We took these methods straight out of the Open Bible Study Notes. They are a sure-fire way to get your study of God’s Word headed in the right direction. In the Bible there are 1,189 chapters in the Old and New Testaments. In a little over three years, a person could make an intensive study of the whole Bible, taking a chapter a day. It is usually a good practice to start your Bible study in the New Testament. Read through the chapter carefully, seeking to find its main subject or subjects. Take note of any practical or theological problems in this chapter. Then, using your concordance, look up the key words in those verses and find out what other portions of the Bible say about this question or problem. Compare Scripture with Scripture to find its true meaning. Usually, to understand a Bible chapter, you must study it together with the preceding or following chapters. A paragraph is several sentences of thought in writing. When an author changes the subject of emphasis in writing, he usually begins a new paragraph. The beginning of a paragraph in this Bible is indicated by a boldface verse number. Studying the Bible by paragraphs like this is often called analytic Bible study. Read the paragraph carefully for its main thought or subject. a. How not to pray Matthew 6:5, 7, 8 . (1) Hypocritically in public, 6:5 . (2) With useless repetition, 6:7, 8 .
b. How to pray: Matthew 6:6, 9–13 . (1) In private to your heavenly Father, 6:6 . It is helpful also to look up in the concordance important words that occur in this paragraph, for example, the words “hypocrites” and “heathen.” By comparing other passages of the Bible that teach about prayer, you’ll be kept from making any mistakes concerning the true nature, conditions, and results of prayer according to the will of God. In studying the historical passages of the Bible, such as most of the Old Testament or parts of the Gospels, each verse may have only one simple meaning. But many verses in both the Old and New Testaments are rich with many great Bible truths that will demand more detailed study. There are many ways for you to study a single Bible verse. Study it by the verbs in the verse. … Humankind has everlasting life. Study a verse through the personalities revealed. For example, once again taking John 3:16, these very simple but significant points are brought to light: “God … only begotten Son … whoever … Him. Study a verse by looking for the great ideas revealed in it. Sometimes a combination of these various ideas applied to a verse will bring the richest results. “Therefore”—This verse depends on 4:25. Our justification is based on and is guaranteed by Jesus’ resurrection. “by faith”—method of our justification (see also 3:24; 4:9). “have”—not future, but present tense—we have this now. “peace with God”—We were enemies, but now there is peace between us and God because of what Christ has done. “through our Lord Jesus Christ”—the way to peace with God is only through Jesus Christ. After you have begun to study the Bible by chapters or paragraphs or verses, you will be ready to study the Bible by books. There are several methods of Bible book study. One is called the inductive method. This is a method of studying in detail the contents of a Bible book and then drawing from these details general conclusions or principles concerning the contents and purpose of the book. Another method of book study is called the synthetic method. By this method, one reads the Bible book several times to receive the general impressions of the main ideas and purpose of the book without attention to the details. (It is sometimes hard to distinguish these two methods.) In some cases the study of a Bible book becomes a historical study, if that book relates the history of a nation or an individual in a particular period of time. For example, the Book of Exodus tells the history of the children of Israel from the death of Joseph in Egypt until the erecting of the tabernacle in the wilderness in the time of Moses. This covers approximately 400 years. The principles of Bible book study, whether inductive or synthetic, are very similar. Such study will require more time than the previous methods mentioned, but it will be amply rewarding. What is the central theme or emphasis of this book? What is the key verse? Remembering the theme of the book, see how it is emphasized and developed. Look for any special problems or applications. What does it tell me about the author and his circumstances when he wrote this book? What does the book tell me about the people to whom the book was written and their circumstances, needs, or problems? What are the main divisions of the book? Is there any outline apparent in the logical organization and development of the book? During this reading, divide the text into the paragraphs as you see them and then give a title to each paragraph. Draw a line down the right side of the outline and on the other side write any problems, questions, words, or ideas that require further study by comparison with other passages in the Bible. There are two profitable and helpful ways of studying great words or subjects in the Word of God. 1. Word study by Bible books. Certain words have special significance in certain Bible books. For example, after studying the Gospel of John as a book and by chapters, you’ll find it instructive and inspiring to trace the words “believe” and “belief.” They occur almost 100 times. By reading the book hurriedly and underlining each passage where the words “believe” and “belief” occur, you’ll understand why Bible scholars contend that the purpose of the Gospel of John is expressed by the author in John 20:31. By tracing the occurrences of this word through the Old Testament and then into the New Testament, you will come to see that God has always dealt with His people in grace, and you will find in a concrete way the great truth of Ephesians 2:8. Closely related to the method of study by words is the study according to great topics or subjects: Bible prayers, Bible promises, Bible sermons, Bible songs, Bible poems, and so on. Or one might study Bible geography by reading rapidly through and looking for rivers, seas, and mountains highlighted in Scripture. For example, the mountaintop experiences in the life of Abraham are a thrilling study. Another challenging study is to read rapidly through the Gospels and Epistles looking for the Lord’s commands to us. The list of Bible topics is unlimited. First, for a topical study on prayer, look up the word “prayer” or “pray” in your concordance. Look up every form of these words and such related words as “ask” and “intercession.” After you have looked up these verses, study them and bring together all the teaching on prayer that you find. You will find conditions of prayer, words to be used in prayer, results to expect from prayer, when to pray, and where to pray. Read the Bible book or passages in which this person’s life is prominent, for example, Abraham in Genesis 12–25, plus references to Abraham in Hebrews 11 and Romans 4 . Trace character with your concordance. Be careful to note indirect references to the person in other portions of Scripture. Did you enjoy this post? Sweet! It came directly from an article on how to study the Bible. We found it inside the Open Bible Study Notes. 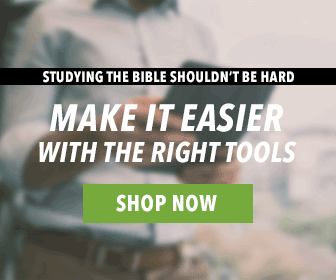 For over 20 years these accessible study Bible notes have helped readers explore the Scriptures with tons of great information and study helps. Get it today and use it in the Olive Tree Bible App. Great methods! Thanks for these!